We a delighted to announce a long anticipated advanced musculoskeletal ultrasound course. This is a course designed to further progress your sonography skills to view those more challenging structures. This is designed for those with previous experience in MSK Ultrasound who want to challenge and develop their skills further. Run over two days , with intensive practical time, we will take you through regions evaluating structures that are not covered on our Introductory level courses. You will explore muscle , nerve and more complex ligamentous structures. All will be taught using our innovative and unique presentation screens, in a dynamic and friendly way!. Our courses have a high tutor and scanner to student ratios (3 students maximum per system), meaning you will benefit from more time scanning and have close support from our tutors whilst you scan. Conveniently located minutes from Heathrow airport and the M25 motorway. Easily accessed from central London. Are employed in a professional environment that enables you to utilise this within your practice in the future. Relevant medical or allied health professional experience or qualifications. Current registration with the relevant UK professional body eg HCPC or GMC, or foreign equivalent if travelling from abroad. 9.00-9.15 Registration, introductions and coffee. 9.15-9.45 Normal sonographic appearance of muscle and tendon fibres, and anatomy behind the appearance. Overview of muscle/tendon injury and role of imaging/clinical testing. 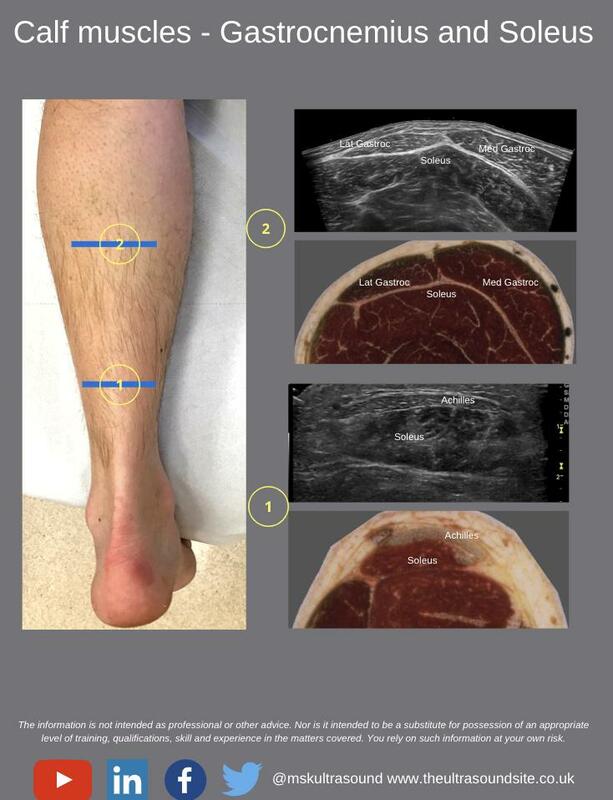 Detailed presentation of the anatomy and sonographic appearance of the Quadriceps and calf muscles. Develop an ability to visualise the rectus femoris, vastus lateralis, vastus medialis, vastus intermedius muscle groups from their origins to their distal insertions. Visualise the gastrocnemius, soleus, flexor hallucis and plantaris. Identifying key landmarks to assist. Enhanced by anatomy images and pathological sonographic images. Detailed presentation of the anatomy and sonographic appearance of the Hamstring muscle and adductor muscle complexes - develop a practical ability to visualise the Semimembranosus, Semitendinosus and Biceps Femoris muscle groups and the Adductors (Longus, brevis and magnus) from their origins to their distal insertions. Identifying key landmarks as reference points. Enhanced by anatomy images and pathological sonographic images. 1.15 - 1:45 Nerve anatomy and sonographic appearance. Dynamic exam and ultrasound uses. 1.45-3 Lower limb nerve visualisation Part 1: Detailed presentation on the anatomy and ultrasound appearances of the sciatic, tibial, peroneal and sural nerve. Evaluation of medial plantar, lateral plantar and medial calcaneal branches of the tibial nerve. 3.15- 4.30 Lower limb nerve visualisation Part 2: Detailed presentation on the anatomy and ultrasound appearances of the femoral nerve and lateral cutaneous nerve. 9.15-10.45 Detailed presentation on the anatomy and ultrasound appearances of the ulnar collateral ligament of the thumb, the dorsal hood and saggital bands, finger extensor tendon injuries, scapholunate ligament and flexor tendon injuries. Followed by practical to visualise these structures with tutor feedback. 11.00-12.30 Detailed presentation on the anatomy and ultrasound appearances of the different methods to approach visualising the distal biceps tendon, the collateral ligaments, annular ligament, flexor and extensor muscle groups. 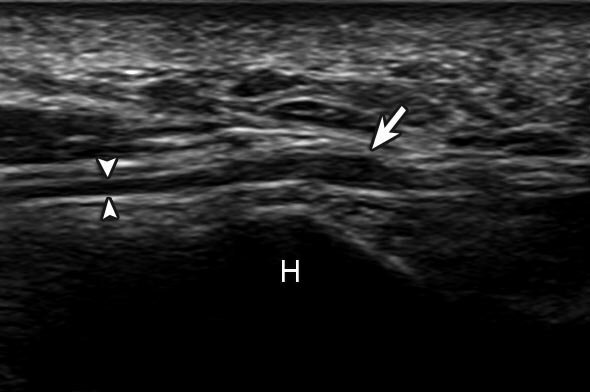 Detailed presentation on the anatomy and ultrasound appearances of the different methods to approach visualising the ulnar, radial and median nerves, including the posterior interosseous nerve and the superficial radial nerve. Followed by practical to visualise these structures with tutor feedback. Detailed presentation on the anatomy and ultrasound appearances of the different methods to approach tips, tricks and pitfalls of scanning the rotator cuff. Learn to identify the Suprascaular nerve, Pectoralis major /short head of biceps tendons, rotator interval , rotator cable. Coracoacromial ligament, coracohumeral ligament.Followed by practicals to visualise these structures with tutor feedback. Unique 3 screen presentation setup – probe, ultrasound and tutorial! If your attendance on the course is to be funded by your trust or you have any other queries then please contact us. Stuart is an Extended Scope Physiotherapist and MSK Sonographer working in the NHS in London. He founded The Ultrasound Site. He has an interesting working week, dividing his time between Radiology and Physiotherapy, here he performs both diagnostic and guided interventions in both. He qualified from the University of Southampton in 2003 with a BSc Physiotherapy, and went on to gain an MSc in Advanced Neuromusculoskeletal Physiotherapy at The University of Hertfordshire and a PG Cert in MSK Sonography at Canterbury and Christ Church University. David brings together his unique skills as ESP, MSK Sonographer, experienced injection therapist, and lecturer to the website. David works as an Extended Scope Physiotherapist in the NHS, working extensively with diagnostic ultrasound since 2007 and studied for his formal Pg Cert at Canterbury Christ Church University. He has further developed his special interest in ultrasound guided injection therapy. Rob trained and qualified as a physiotherapist through the HvA in Amsterdam in 1993. He has been working for Homerton University Hospital as an Extended Scope Physiotherapist in the primary care setting since 2004. He works one day per week in the Radiology Department of Homerton University Hospital as an MSK sonographer both for diagnostics as well as for carrying out interventional procedures. ”And the best bit about this…IT IS COMPLETELY FREE! Any questions or difficulties with signing up, then get in touch with me via email [email protected] or call 0203 3629430. Just click the link below to get started”. Q. How do I know that this course is of high quality? All the lecturers on our courses have completed formal training MSK Sonography and have been using MSK Ultrasound for several years. Crucially, they are clinicians with many years experience of integrating ultrasound into their practice alongside other forms of imaging such as MRI giving a great breadth of experience to enable them to teach ultrasound in the correct clinical context. Several teach on PG Cert MSK Ultrasound University based courses as guest lecturers, and present at different events each year. The lecturers are also members of executive committees of professional organisations such as the Chartered Society of Physiotherapy, The Royal College of Radiologists and British Association of Sports and Exercise Medicine, so are very familiar with MSK ultrasound and injection therapy development within different professional roles. Q. Do we get to use the ultrasound machines? We know the importance of hands-on practice when scanning! As we’ve been there when we were learning! So we can reply with a massive YES! The course is designed with high lecturer:student ratios, with on average a lecturer for every 5 students. We have a large number of machines to ensure that as much time as possible is spent with the students scanning under close supervision. We understand the subtlety of moving a probe to ensure you achieve a high quality diagnostic image. We try to provide a selection of machines including hand held mobile devices, laptop systems and cart based – this gives you the ideal opportunity to trial systems and work out what might suitable for you. Q. Does this qualify me as a sonographer? Surprisingly, a sonographer is not a protected title and therefore anyone can theoretically call themselves a ‘sonographer’. I guess a better way to pose this question would be ‘does this deem me competent to perform ultrasound in the setting I wish to use it in?’. Well, this depends on the setting and the local governance but essentially this course is designed as an important first step for people who are considering an ultrasound qualification, or who are interested in learning ultrasound to give them an idea of how ultrasound may fit into their practice. The course can also serve as a refresher, perhaps for certain joints. To undertake a formal qualification which would lead you to be able to work in for example Radiology departments within the NHS you would need to progress on to complete a PG Cert qualification on a CASE accredited course. This course would place you in a strong position before starting your CASE course. We are creating a University accredited CASE course at the moment and hope to release news in early 2018! Q. How do I know if I am scanning things correctly? Because we have a large ratio of lecturers to students, there will be someone overseeing and teaching with each group for as much time as possible throughout the day to ensure that you are handling the probe correctly and there are lots of tips on image optimisatio and use of the machine technology to get the best image! Basically, we will be peering over your shoulder! After the course you can also join us on our Medshr group, to keep touch and share images for feedback and as a record of your ongoing learning. Q. What are the advantages of doing this course? The advantages of doing this course is that all of the tutors have extensive experience of working with ultrasound and ultrasound guided injections working within busy Radiology, NHS , Private and Sports injuries clinics..we have it all covered! Most importantly, we are enthusiastic and passionate about teaching..that is why we set this up in our spare time! Q. What are the terms and conditions for refunds and bookings? Q. Do I need to have scanned before in order to attend a course? For our Introductory MSK Ultrasound course..No. We have many people who attend the course who have little, or no, previous scanning experience. This course is designed to accommodate people who have no previous scanning experience and are interested in learning from scratch. However, as mentioned above, it is also a very useful learning experience for people with some scanning background as well. For our injection courses it is best to have attended the Introductory course first. Have a read of this blog as well to gain some more ideas on why developing your diagnostic skills first is a good idea. Q. Do you provide training to whole departments? Q. Does this course qualify me to perform ultrasound guided injections in my workplace? No. In order to perform image guided injections in your workplace you must conform to local guidelines and competency requirements. This course, however, may form part of your CPD and learning if you are looking to start performing ultrasound guided injections, or as a top-up course as part of your continuing CPD.